Bring the future of energy home…today. You’re a conscious consumer. You know the livability of our planet depends on the choices we make today. You’re passionate about being part of the solution. Saving money on electric bills is exciting…but saving the environment for your children and future generations is even more so. Energy independence and efficiency lights you up. When you invest in your home, you want it to be an investment in something greater, too. 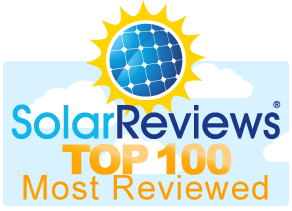 Artisan Electric is one of Puget Sound’s largest and most respected solar/electrical contractors. Most solar contractors are not electrical contractors. Artisan is different. With our team of highly skilled, professionally licensed journeyman electricians and installation specialists, we’re proud to set industry standards for quality, design and customer service. We’re committed to helping homeowners, businesses and communities discover their clean energy potential—and make it easy with our full-service turn-key approach. We’re passionate about preserving and restoring our planet—and the power of solar. Together, we can light the way. WE DESIGN, INSTALL, & SERVICE. Artisan custom-builds around your life, your style, your budget, and your long-term goals—creating a sustainable, user-friendly, highly efficient energy solution that’s as unique as your home and your life. Our strategic designs help you not only maximize your solar production capacity, and save money and energy—but take optimal advantage of incentives and emerging technologies. You get a system that’s practical, elegant, and affordable. It’s your solar solution, your way. We set the highest standard for solar quality and innovation, and we offer the best warrantees in the business. Our depth of knowledge and experience, along with our meticulous, obsessive attention to every detail, means you can count on every aspect of your system meeting and exceeding expectations. Our production and workmanship guarantees are second to none. And our unmatched aftermarket service gives you the security of knowing you can count on Artisan for years to come. As a respected local resource for education and advocacy, Artisan is proud to help lead Puget Sound into its clean energy future. We’re actively engaged in outreach that raises awareness about solar’s potential for our region. We work cooperatively to sustain and improve incentive programs that support solar in Washington. At Artisan, we’re not just professional; we’re passionate about solar, we’re dedicated to promoting it, and devoted to helping preserve and restore our planet. We’ll help you, too, to connect with this powerful energy movement that’s truly changing our region—and the world. Taking advantage of clean energy doesn’t need be complicated. As a full-service electrical contractor and solar energy specialist, Artisan makes the entire process seamless and easy for you. We provide comprehensive, friendly support every step of the way—from assessment to design to installation and beyond. We don’t disappear after the job is done—we’re your solar partners for life. Our turnkey approach lets you simply relax and enjoy the thrill of generating your own power and being part of the solution. From planning to installation and beyond, the entire Artisan process guarantees our customers unparalleled quality, support and peace of mind. With our unique turn-key, whole-systems process, we make solar simple, affordable, accessible and beautiful. We are proud to set industry standards for quality, design, and customer service—and helping to shape the Puget Sound’s energy future.